Acne is the most common skin disorder that effects a number of people in the United Kingdom. Acne treatments vary from prescribed to over the counter medications and home remedies, such as: Aloe Vera, Lemon juice, Honey, Cayenne pepper, and Dandelion roots. Some people can't simply afford expensive topical acne creams and pills, or just prefer natural treatment which doesn't cause skin redness and irritation. Lemon juice is one of the most popular, safe and natural treatment for acne that keeps your skin feeling fresh and bright. Lemon can be of good help in both getting rid of acne, healing acne scars and helping the skin return its texture and complexion. Fresh organic lemons have been an ancient treatment for healing wounds and acne scars. Lemon helps cleansing your skin internally and externally when a diet includes both drinking lemon water and putting lemon on your skin. Lemon is a good source of vitamins C and B. [ Vitamin C helps you with acne free and healthy skin ]. Lemon is an acidic fruit but alkalize the body. [ Acidic foods: are usually bad, but when they come from nature it is good because they actually alkalize the body and pull the acidic junk out ]. Lemons help to get rid of extra oil and the top layer of dead skin cells, destroying germs and bringing about a healthy new layer of skin. Lemons contain Alpha Hydroxy Acid (AHA) which cleanses the pores and enables new skin cell to grow. Lemon may serve a great antibacterial wipes for your face. 1. Wash your face with an antibacterial soap and ensure your skin is clean now. 2. Squeeze 1 teaspoon of lemon juice into a bowl. Use a cotton ball to soak up some juice. Dilute it with water if necessary. 3. Spread the juice onto your acne inflamed areas. 4. Leave on over night and rinse in the morning. 5. If you find the lemon juice too strong too leave on, even diluted with water, wash it off after 10 minutes in cold water. Lemon juice is a natural option for internal cleansing or detoxifying of the liver and for absorption of important minerals and vitamins. Lemon drink is one of the healthiest juices for your skin and body that is refreshing, easy to drink, and simplest to make. 1. 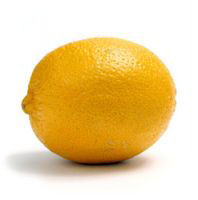 Squeeze a big lemon in a glass of warm water (16oz). 2. Drink a refreshing juice first thing in the morning or throughout the day. *Use distilled or filtered water for the best effect. **Don’t drink or eat for 20 to 30 minutes after to allow the juice to cleanse your body. How To Make Lemons Work For You? Before you do anything wash your face with warm water to help open your pores. Then get cotton pad and dip it into freshly cut and squeezed lemon juice. Then rub it into your skin all over your face, especially acne inflamed areas. It may sting at first, a burning sensation, but that is a good thing because it is killing the bacteria that the acne loves to live in. If it stings too bad [in cases of dry or sensitive skin, over-drying, excessive irritation and redness] mix lemon juice with water to dilute it, and not leave it on for a long time, especially on areas of sensitive skin. After you rub the lemon juice rinse with cold water. Be sure to use fresh organic lemons. Be sure to include lemons in your daily diet. You can also use organic sugar mixed with the lemon juice to massage it into your skin. Do not store a mixture of lemon juice for future use. Lemons contains ingredients that might be harsh for the skin. Feel free to consult your dermatologist whether application of lemon juice is appropriate for your skin.